Wound Care – When Should you Call Your Veterinarian? 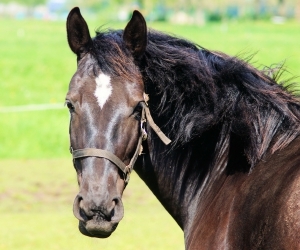 As any horse person knows, horses have an uncanny capability for finding ways to hurt themselves. Just like children, bumps, scrapes and bruises are part of normal life. 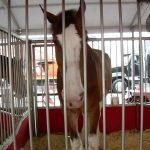 But there are occasions when our equine friends manage to cause enough damage to warrant a little more attention… or a lot! Starting with mild scrapes and wounds, we will work our way up to full-on disastrous lacerations. 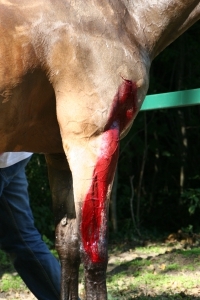 Generally, location of the wound can determine the attention it may require. Wounds located on the body or head are a little less concerning. (There are exceptions to every rule!) Wounds on the legs or over a joint, on the other hand, certainly require a little closer inspection. Also if there is any depth to the wound you should call your veterinarian. 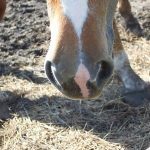 The reasoning for this is that if there is any penetration into the joint, there is a good possibility of a joint infection, which can be deadly to the horse. When in doubt, I tell clients to at least give us a call. Scrapes and small wounds require little to no attention. Keeping the wound clean, and applying some type of ointment to keep the wound soft are the primary goals as long as no drainage develops, and any swelling that was associated with it is on its way out and within a day or two. If, due to location (often on the leg), it is not repairable, then bandaging may become a good option. The wound will certainly heal with time without bandaging, but with proper bandages, we can maintain an environment that will quickly heal the wound. Full lacerations, with either skin, or tissue missing, can become a far more complex repair job, although these injuries can surprisingly heal quite well. It can be obvious that there isn’t enough skin remaining to cover the defect, but with some creative suturing a natural bandage can be created. This natural bandage, even if only for a few days, can be extremely helpful in the healing process. Don’t wash it with the hose. Using the hose can unintentionally force dirt further into a wound. Using a dilute betadine solution and some gauze or paper towel, clean the wound of obvious dirt and debris. If it is low on the leg and has a chance of getting dirty again, go ahead and place a small bandage over it to protect it. Don’t use anything “blue or purple” in color, or says that it will stop bleeding. Powders, dusts and the likes that make these claims can be very damaging to the remaining tissue, and can render a wound that was repairable to one that isn’t! If the vet is not going to see it, and it doesn’t require a bandage, create one with a little bit of ointment. Even something simple like Triple Antibiotic Ointment is great. 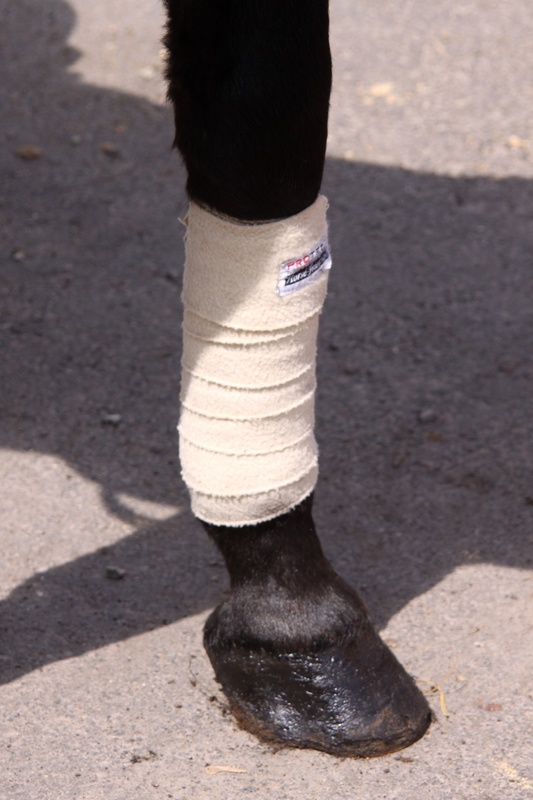 If bandaging, always put a padding layer between the skin and any “Vetwrap” you may be using. As always, if there if you have any question at all, at minimum consult over the phone with your veterinarian.